Socketing wire rope is time consuming. 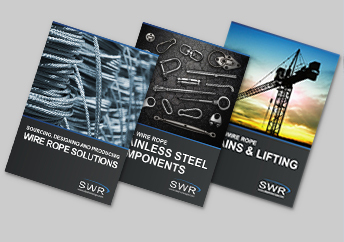 We can make your life easier thanks to our fully trained production team and over 30 years of experience providing wire rope services. The socket fitting process is carried out step by step in our dedicated workshop. This includes properly brooming and cleaning the wire rope ends then using WIRELOCK-the number one resin for safety and reliable use with countless applications. WIRELOCK is simply the best socketing compound on the market and fully ISO 17558, DNV-OS-E304 certified. It also has Type Approval from DNV, Lloyds and ABS. For over 50 years, WIRELOCK has been the premium socketing product for industries such as architectural, mining, offshore, general engineering and more. Finished socket assemblies are fully tested before leaving the workshop for your complete peace of mind.